Last week this column concluded with the question of what the Irish Government might be facing today if the EU and the UK had exhausted all means of avoiding the most disastrous of Brexit outcomes – a no-deal exit. As the brinkmanship continues, and focus is now on an extension of the UK’s EU membership beyond March 29, the choice of backing down on the backstop as the only way to prevent the worst has not yet arisen. It may not arise over the coming days if all 28 countries involved agree to a British membership extension. But if they do not, then consideration will be needed about the wisdom of sticking with the backstop, if the increasingly tight timeline even allows such consideration. Before looking at this matter, consider the issues and obstacles around reaching agreement on the request to extend the UK’s EU membership. Taoiseach Leo Varadkar is meeting his fellow EU leaders in Brussels today. They will discuss the British request. The discussion could be brief and cursory. Yesterday afternoon, Donald Tusk, the man who chairs their meetings and speaks for them collectively, appeared to suggest that they would only consider an extension if a majority in the House of Commons votes for the current withdrawal deal, including the backstop. This position has been taken despite two huge votes – last week and in January – against the deal and despite Monday’s decision by the Commons speaker that a rejected motion cannot be put to the House without change. The position has upped the ante for MPs of all parties. But doubling down on this position means that if it fails the chances of a no-deal outcome will shoot up. It is possible that Mr Tusk’s hardline position yesterday could be softened today when EU leaders discuss the tactics of extension (they have had little discussion of the matter to date). A strong factor in favour of an extension is the avoidance of the immediate disruption to so many areas of commercial activity that a no deal would cause. Closely related to this factor is who takes the blame. EU leaders – individually and collectively – do not want to be accused of shoving the UK over the cliff edge. More strategically, such an exit, which no country is or can be fully prepared for, could lead to longer-term strains between the EU and a country which will always be a major European power. Of all moments in recent European history, this is not the time for division among the continent’s democracies. The EU’s relations with the other two (non-EU) European powers – Russia and Turkey – are at decades-long low points. Few on this side of the Atlantic have yet to fully internalise the frightening fact that Donald Trump is the guarantor of European security. And just last week the EU declared China – the coming global superpower – as a “systemic rival”. In an era of intensifying rivalry among the world’s big powers, a divided Europe will be a weaker Europe. All of these arguments should be part of the discussion among the EU leaders today and into next week. But there are also arguments against giving Mrs May an extension. Only a minority of the 27 members would face serious trade disruption if there were to be a no deal next week for the simple reason that their trade with the UK amounts to low single-digit percentages of the overall economic output. These countries want to move on from Brexit and deal with matters that mean more to them. They may argue that getting it over and done with is the least bad option. 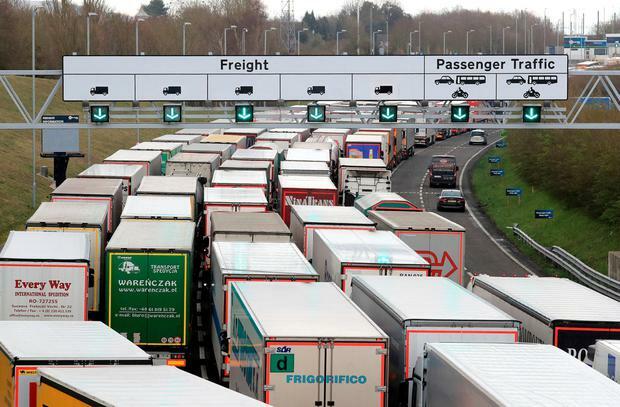 Another argument against prolonging the agony is that companies who have been willing and able to prepare for no deal would have to undo their plans if it is postponed, and only to have to spend more money in a few months implementing new no-deal plans. The strongest argument against extension is how weak and unreliable the UK has become as an interlocutor and that granting the extension may not achieve anything for anyone. “A political generation which has no serious experience of bad times and is frankly cavalier about precipitating events which they could then not control, but feel they might exploit.” These are the words of Ivan Rogers, Britain’s ambassador to the EU until 2017 when he resigned, reportedly in exasperation at the handling of Brexit by his political masters. Rogers is worth listening to not only because of his vast diplomatic experience, but also because he has avoided the sort of partisanship that has so polarised discussion of Brexit in his country. Speaking on RTÉ radio’s Seán O’Rourke show yesterday morning, he warned that both the EU and British sides are in danger of misreading each other. Both have done so already. That is so obviously true in the case of the British side that it need not be elaborated on here. But it has also been true for the EU side, most notably on how the backstop would be viewed by the other side. The backstop has become the focus of huge opposition in the UK for two reasons. First, because it would involve removing Northern Ireland from the UK single market, the backstop has implications for the UK’s constitutional integrity. Second, because it would involve keeping all of the UK as a de facto member of the EU’s customs union indefinitely, Britain might never be able to do its own international trade deals with countries such as the US and Australia (while Brexit advocates grossly overstate the achievable benefits to the British economy of such trade deals, having the freedom to seek them is a totemic issue). The EU side misread the degree of opposition to the backstop and it is for that reason that the current impasse has been reached. There is still a chance that the British will swallow the backstop next week, but if they don’t the Irish Government will face a decision. If there is a no-deal Brexit, Ireland is very likely to suffer more than the UK economically, given its much greater dependence on trade, both with the UK and with the continent that moves through the British ‘land bridge’. No deal would also bring an immediate Border crisis. This is something that the backstop was designed to avoid for all time. We are not at that point yet, but we are close. Continuing to insist on a position that would lead to what it was designed to prevent would make no sense.